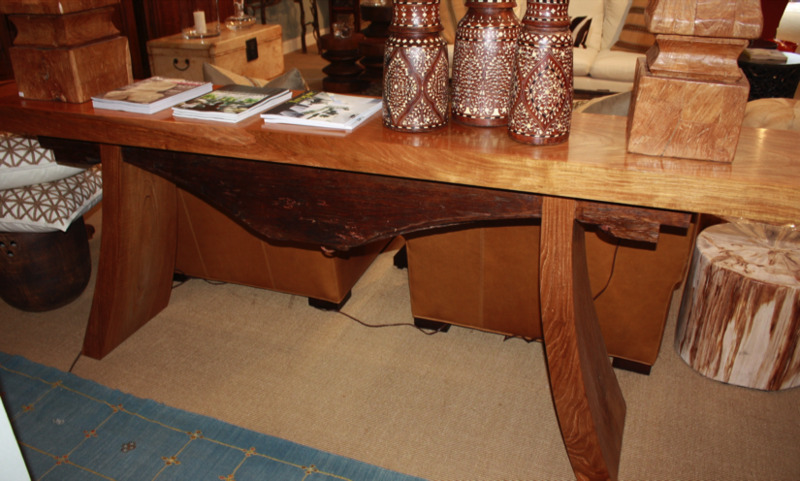 We've repurposed a Balinese teak temple beam into this one of a kind console table - true global chic. Two other sizes and styles available. Call for information.